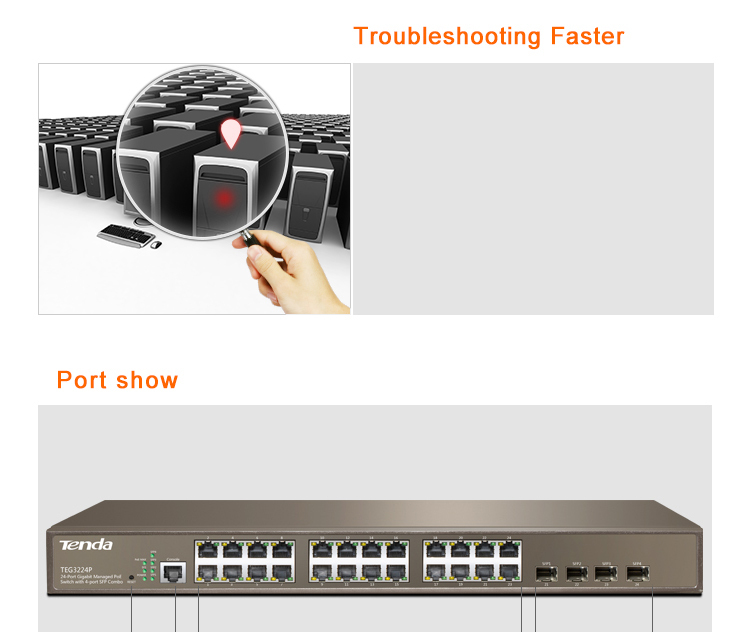 Tenda TEG3224P, which is dedicated for surveillance projects and smart wireless network. It provides 24 10/100/1000 Mbps auto-negotiation PoE ports and 4 combo SFP slots, all the PoE ports support IEEE 802.3af (15.4W) and 802.3at (30 W) compliance. In addition, it features with ARP attack defense, worm attack defense, IP+MAC+PORT+VLAN Binding, MAC filter and other safety setting. 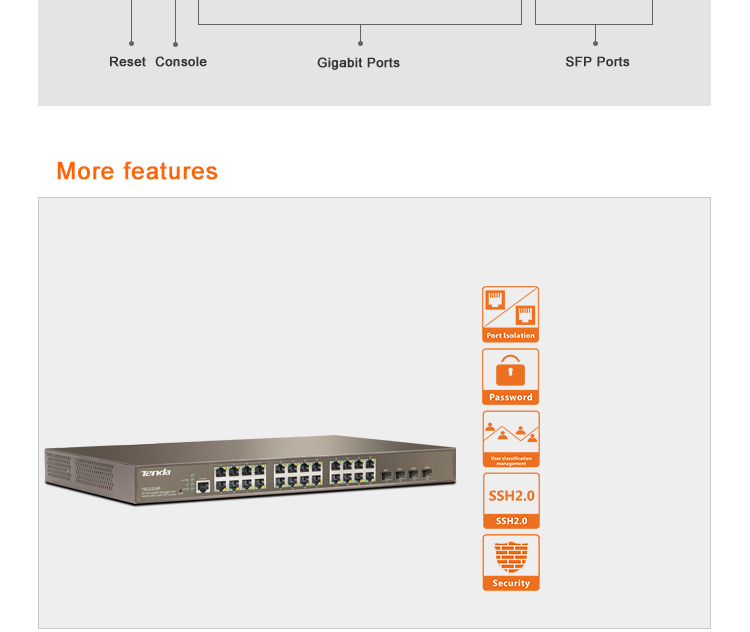 The switch also integrates with the humanized web-based managements, perfect QoS strategy and rich VLAN function. 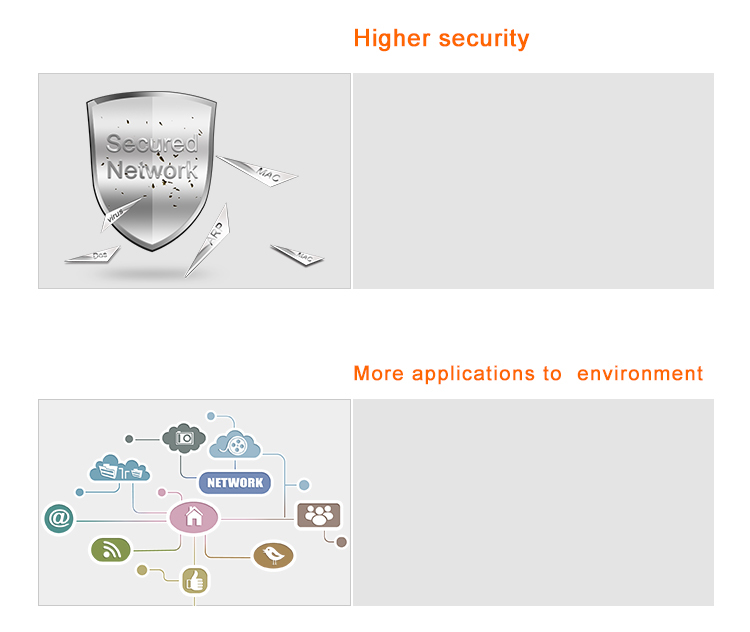 It is best choice for your network. >> Strict security policyIt supports the full network management which can prevent from ARP virus attack, IP/MAC deceit and Dos attacks. 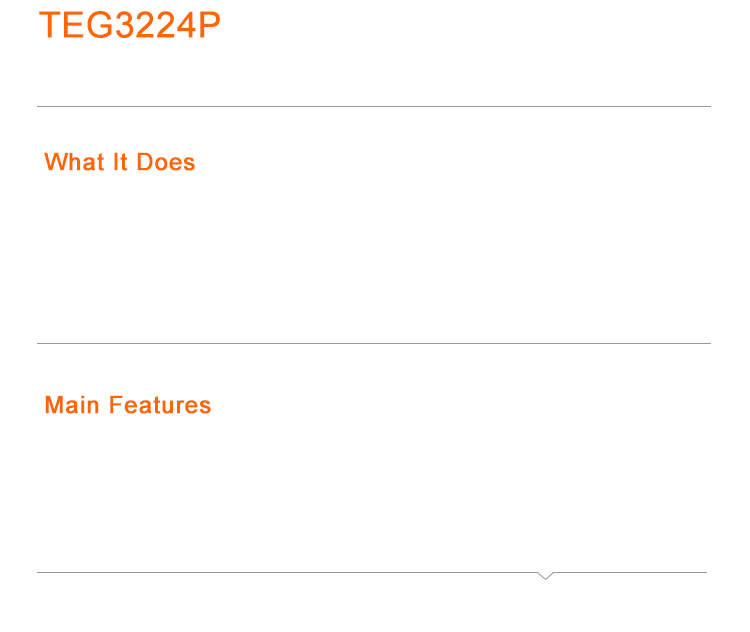 >> Various application scenarios24 Gigabit+ 4 SFP can offer flexible port combination. 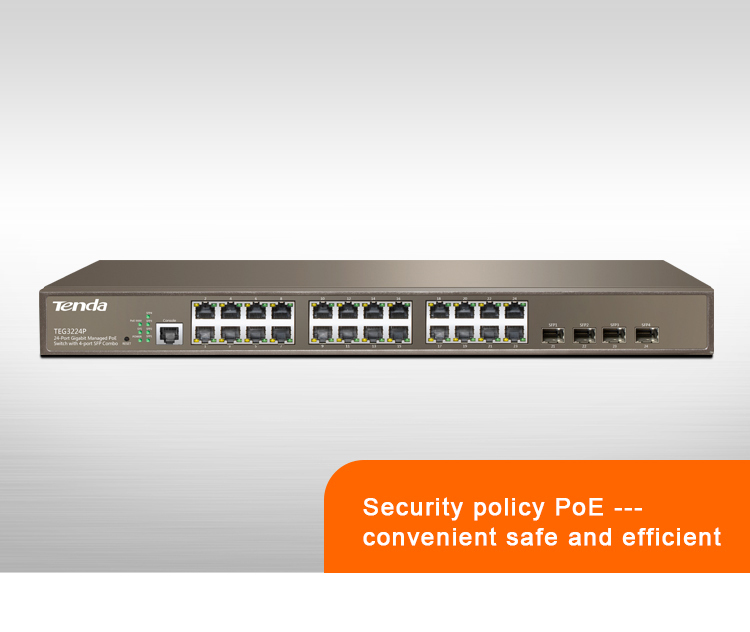 It applies to the standard PoE protocol, and the switch can identify and supply power to the PD equipment automatically , making your network safe and efficient. >> Problem DiagnosisIt supports VCT cable diagnosis which can help you find out the problem.